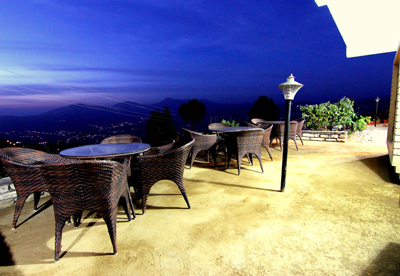 Nestled in the lap of the enchanting Kumaon Himalayas, Vimoksha Resorts is undoubtedly a dream come true. Dotted with 18 cute independent mountain cottages, hanging delicately across the steep slopes, Vimoksha Resorts, situated just 5 kms from the Ranikhet Golf Course, in the sleepy hamlet of Majkhali, is away from the usual hustle &bustle that we city-folks are forced to tune ourselves into. 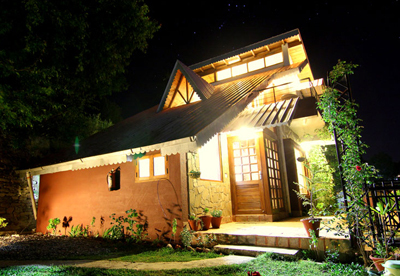 Come discover – Vimoksha – the warmth of your dream mountain cottage perched amidst lush pine grooves. Soak yourself thoroughly in this serene environment as we ensure you a home-stay that would undoubtedly rejuvenate your soul. 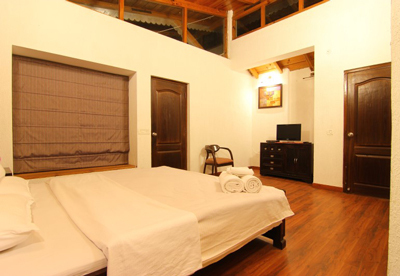 Unlike a commercial hotel, ours is a cherished dream – a home-away-from-home, situated approximately 6000 feet high in the lap of Mother Nature,at its unpolluted best. Be mesmerized at the awesome sight of the majestic Himalayan range – a panoramic jaw-dropping 180 degree view of snow-clad peaks– from Nanda Devi to Nanda Kot to Panchachuli to the daunting, ever-nearer Trishul.